Pharmacy Website Design – An Interview with Don Levasseur PharmD of PharmerDon, Inc.
Tim Ferris, the author of the fabulously famous 4-Hour Workweek and Internet guru once said “Think big and don’t listen to people who tell you it can’t be done. Life’s too short to think small.” I think this is never truer than when thinking about your company website. We all somewhat instinctively understand the importance of an effective Internet website for certain businesses. Without a website, some businesses of course wouldn’t function at all. We can’t imagine an Amazon.com or ebay.com suddenly deciding to take their business back to a brick and mortar building somewhere. Large national chains and stores all appreciate the value of a powerful and functional website to broadcast their message, drive sales, highlight services and market their value. But far too often I find that smaller stores, including independent pharmacies, don’t truly capitalize on their website opportunities to grow their customer base and serve their clients. We need to start thinking differently. And so I reached out to friend and pharmacist Don Levasseur who is the owner and creator of PharmerDon, Inc. which helps create pharmacy websites for clients. 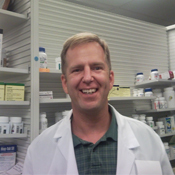 He has been helping independent pharmacies by designing and building, as well as hosting and maintaining, their pharmacy websites for many years. So if you have been thinking about starting or improving your pharmacy website, please listen in while Don and I chat about Pharmacy Website Design! 1) Don thanks for taking the time to talk with my readers. Would you tell us a little about your background as a pharmacist and what you have done during your career? I graduated from the University of Florida College of Pharmacy with a Doctor of Pharmacy degree. I started my career at Good Samaritan Hospital in West Palm Beach, FL as a Clinical Staff Pharmacist. During my time there I worked on the Pharmacokinetics and Nutrition Services as well as in the main pharmacy. From there I moved into retail and have worked for two grocery chains Publix and Ingles. I have managed several locations in both Florida and South Carolina. 2) When did the concept of helping pharmacies establish their own website come to you? I was working for Publix and my supervisor there was Kelly Hunt. He left to open his own pharmacy (Kelly’s Family Pharmacy) in Easley, SC. At the time I was exploring website development for a few affiliate marketing sites and was relatively successful in driving traffic for them. At some point it occurred to me Kelly would need a website for his new pharmacy, Then I started to think, if Kelly needs a website, how many other independents also need one? I knew it was important for small businesses, including independent pharmacies, to have an online presence starting with a quality website. After doing some research I realized there were very few good options for pharmacies. The way people do business is constantly evolving, that’s why it is so important for independent pharmacies to have a website, so they can stand toe to toe with the big box stores. I created Kelly’s website and PharmerDon, Inc was born. 3) What would you say are the key characteristics of a well-designed and functional pharmacy website? The design needs to be easy to navigate and the consumer needs to be able to find what they are looking for quickly. Also, the website needs to reflect the branding already developed by the pharmacy so when the consumer navigates to the site they immediately recognize they are in the right place. Consumers want a clean and attractive design that loads quickly. The website must also have a reason for both the pharmacy’s current as well as potential future customers to come back often. 4) Why is having a website presence so important? According to Yelp.com, 85% of consumers use the internet when shopping for a local business. The yellow pages and many other traditional marketing avenues are simply not as effective as they used to be. To make matters worse, every business has an online presence whether or not they have a website and you don’t have control of the information listed at many of the places your business information is published. Some pharmacies try to get by with a Facebook page but then you are limited to Facebook’s terms of service which are constantly changing. If you unknowingly violate their terms of service your page could be shut down. Creating a website you control on your domain is the best thing you can do to control the user experience. 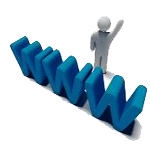 All other places you have online (such as Facebook page and Twitter account) should direct people to your website. 5) Is there anything about PharmerDon that sets your company apart from the competition? Yes, I have brought my pharmacy experience online and worked with a professional web designer to create a unique product. Unlike other options, I am not an outsider looking in. I’m a pharmacist and I bring real world experience to this industry to help my fellow pharmacists succeed. We place things on our sites patients can use such as blood pressure and diabetic logs. We created a drug coupons page which has been a huge hit. Kelly told me the doctors in his neighborhood have that page on his website bookmarked and they print the coupon in the office and tell the customers to go see Kelly. We also provide log in access to the website allowing the pharmacy to edit the text, add photos, create blog posts, ad promotions and many other things. If they want to publish an article about a local flu outbreak, they can do that without waiting for their web design company to do it for them, and wondering how much it will cost. We focus on fast turnaround, functional, clean design and affordability so our clients can maximize on their investment with quick ROI times. Just like our industry we are also constantly evolving as a company and the products/services that we offer. 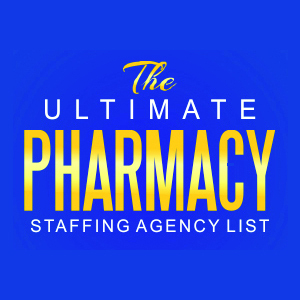 PharmerDon, Inc has also been the driving force behind the creation of the Internet’s leading Independent Pharmacy Directory (www.independentpharmacydirectory.com). This new site gives not just our clients but every Independent Pharmacy in the country a canvas to promote and market their business on a directory exclusively for Independent Pharmacies and the customers that are looking for their services. 6) Roughly how long does it take and what does it cost to build a website for a client? We can have a fully functioning live website up and running within two weeks provided the client gives us the needed content. This is usually the standard pages: about us, services, location information, pictures, logos and other information they want on the site. Lead times vary based on the specifics of the project and any special requests that our clients may have but we always focus on the fastest turnaround times possible without sacrificing the quality of services. 7) Can your company provide any custom design services? We create each site based on the needs of the client. Some want clean and simple while other like more elaborate sites with image sliders, videos, shopping carts etc. We have not encountered any requests we were not able to fulfill. 8) What about integration with their current software for online refills? We have done online refills where the request sends to the pharmacy an email and when the pharmacy software has the ability to accept refills from an online form we have done this also. One of our clients has two locations each with different pharmacy software. One location has an email refill form while the other form feeds right to the pharmacy computer. 9) Is there anything else about your website design service you would like to share? We provide complete on page SEO (search engine optimization) so your website has the best chance of being found when consumers search online. Many companies do not include on page SEO in the basic package and this is a large factor that separates us from any competition. We believe in offering clients a complete “turnkey” package so they never have to worry about hidden costs. Our goal is to help each and every one of our clients become as successful as possible and by keeping that focus we ensure our own success. Also, because I am a pharmacist and have developed a web design company, I have brought the two worlds together in a way no other company has accomplished. We make creating a website easy for the independent pharmacy owner. 10) How can my readers contact you about setting up a website for their pharmacy? Don, on behalf of all my readers here at The Honest Apothecary I want to personally thank you for sharing your business and advice with us. I hope this interview has helped others understand the importance of a website presence for their pharmacy and will encourage many to contact you for more information!